Let’s reflect the season a bit; this column will be your introduction to the bleeding edge of drinking culture. In life, everything is cyclical – clothing, food, music. Yet year round many people still continue to drink the same things. I’m not saying we should stop ripping shots of Jameson at the bar with our friends, but maybe we need to be more exciting and mix it up a little, which is exactly why, I do my damnedest to support the little guys, the producers that haven’t sold to some giant GloboCorp. And for that reason, you may have to hunt a bit for specific brands, but oh how worth the hunt will be. First up, since everyone else is talking whiskey let’s talk whiskey too. Thank God, all of us have come a long way from that bottle of Jack Daniels we stole from our parents liquor cabinet in middle school, and so has American whiskey. Oh what a time to be alive, the best producers are pushing the boundaries of where whiskey can go. Meanwhile, out of the hundreds of whiskeys I’ve sampled in the past few months (for work by the way), nothing embodies winter whiskey quite like Slaughter House by the Splinter Group. Based in Napa California, to add an incredibly unique pivot on familiar bourbon, the Splinter Group repurposes casks from famed winemaker Orin Swift Cellars. Slaughter House is finished in a wine called Papillion; a dense, dark, mean, sumbitch that can tackle any cut of meat you throw at it. But what does that mean for the whiskey? Added into the normal bourbon profile of vanilla, honey, and caramel, are dark cherries, plum, and an almost decadent cinnamon/allspice sort of vibe (for Winter Drinking: 101 the latter two are baking spices). As a result, the mouth feel is much richer and more decadent than what you would experience with other nine-year-old bourbons. 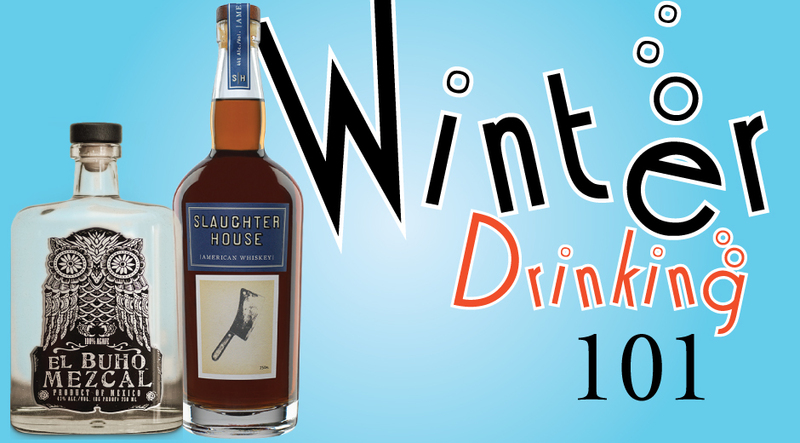 Thus far, Slaughter House doesn’t have the deepest distribution, yet off the shelf, this bottle is only about $50. Therefore, even if you have to hustle for it, put a bottle of Slaughter House on your shelf. Up next, in this liver tour de force – is mezcal. For those who don’t know, mezcal is sort of like a less restrictive version of tequila. First, a little real talk about mezcal – if there’s a worm in the bottle – skip it. A worm in the bottle is an old school marketing ploy that doesn’t make the alcohol taste better! Now that I’ve got the worm issue out of my system, it’s time to get down to some specs on this lovely liquor. Just as much as the next bearded millennial, I love the idea that my agave (the plant all mezcal & tequila is made from) was ground by a donkey pulling a stone wheel combination, but you don’t need to pay $200 for it. So, don’t fall for the hype, because just like whiskey, mezcal can get crazy expensive real fast. There is some truly wild stuff out and about for more like $35. 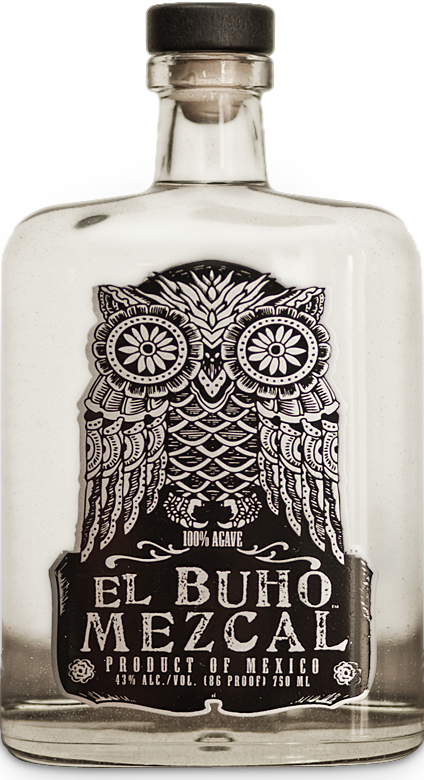 At the moment, I’m all about El Buho. Either way, in tequila, agave is steamed. In mezcal, the agave is smoked. Tequila can use only one type of agave. Mezcal uses all sorts. In the end, Mezcal’s looser regulation allows for wild expression. When opening a bottle of mezcal there is an immediate smoke that will fill a small room emitting the feeling of campfire. Mezcal’s smoke interplays beautifully with pepper, chili pepper, and a little bit of citrus. Go at mezcal all by it’s lonesome, or mix with citrus to really get it shining. To help you along on the inside track, mix two ounces of El Buho with a can of grapefruit soda and won’t see God, but you might talk to Zeus.